Justin Bieber is a Canadian singer and songwriter, who grabbed attention through his YouTube videos covering songs in 2008. He is one of the world's best-selling music artists who sold over 140 million records. Justing had dated several girls till now. Among all, his relationship with his ex-girlfriend Selena Gomez much popular. 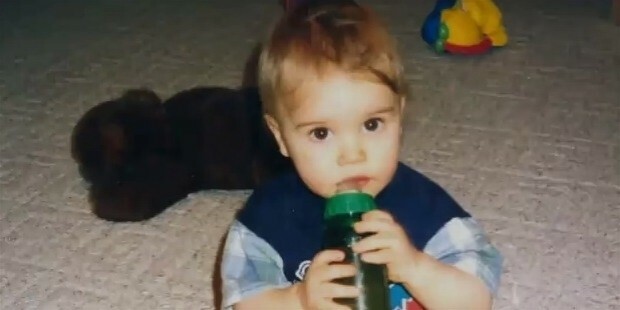 Justin was born as Justin Drew Bieber on 1st March 1994 in Ontario, Canada, at St Joseph's Hospital. He was born to father, Jeremy Jack Bieber and mother Patricia "Pattie" Mallette, who was never married. His mother was underage at the time of Justin birth so he was raised with the help of his grandmother along with his stepfather, Bruce. Bieber also has two half-siblings named as Jazmyn, born in 2009, and Jaxon, born in 2010. He attended a French-language immersion elementary school which is the Jeanne Sauve Catholic School and completed his high school graduation from the St. Michael Catholic School with 4.0 GPA in 2012. Justin was interested in music from his childhood and learned to play piano, drums, guitar, trumpet, etc. at the age of 9. While he was 12 years old, he sang So Sick song at the singing competition held in Stratford and stood second in the competition. His mother, Patricia, used to upload his performance video on YouTube for their friends and family members and continued to upload his several covers of R&B songs which eventually earned popularity. Justin was found out by Scooter Braun who was a former marketing executive of So So Def Recordings after clicking on one of Bieber’s video accidentally. Scooter was impressed by his performance and tracked down the theatre and then finally contacted Patricia. Afterward, Braun took Justin to Atlanta to record demo tapes and week later, he began singing for Usher. Bieber released his first debut single One Time, in 2009, which peaked number 12 on the Canadian Hot 100 in its first week as well as peaked at number 17 on the Billboard Hot 100. The song was certified Platinum in USA and Canada, Gold in Australia and New Zealand. Similarly, his second single song One Less Lonely Girl was peaked in the top 20 in Canada and USA and certified Gold. Justin performed on several shows as well as in European program in order to promote his album. He also performed a song “Someday at Christmas” for US President Barack Obama at the White House for Christmas in Washington. His song Baby released in 2010 from his debut album, My World 2.0, peaked at No. 5 on the US Billboard Hot 100 and No. 3 on the Canadian Hot 100 as well as reached the top ten in several international markets. The album My World 2.0 which includes songs like U Smile, Never Let You Go, etc. peaked at the No. 1 on the US Billboard 200 which made him the youngest solo male artist to top the chart since 1963. Moreover, Justin also released his studio albums Under the Mistletoe, in 2011, Believe, in 2012, and Purpose, in 2015. Among several single songs, his most successful songs include Baby, Boyfriend, What Do You Mean, Sorry, Love Yourself, Company, etc. which won the heart of billions of people. Bieber has also done several tours around the world as his fans can be found in every single country. His tour includes Urban Behavior Tour, in 2009, My World Tour, in 2010 – 2011, Believe Tour, in 2012 – 2013, and his recent Purpose World Tour, in 2016 – 2017. Throughout his career, Justin Bieber sold over 100 million records, became one of the best-selling male Canadian artist and the world’s best-selling music artists. He also received a Diamond award from the Recording Industry Association of America to earn the highest-certified digital song of all times for his single song Baby. Additionally, he is also the first artist to replace his own song as No.1 on the UK Singles Chart since Elvis Presley in 2005. 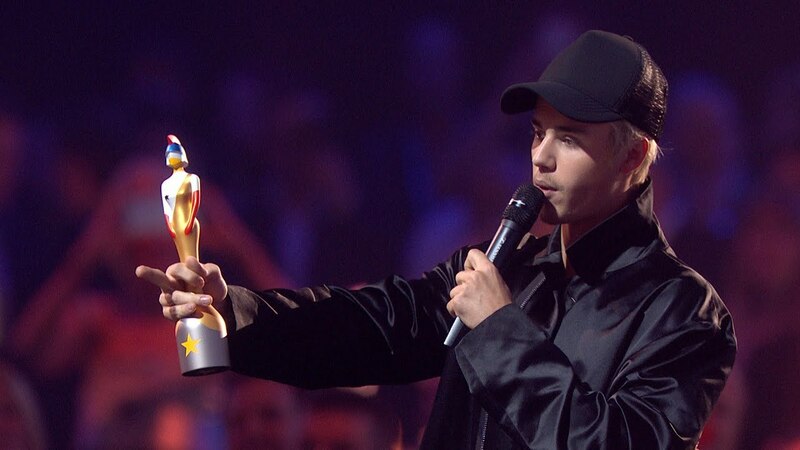 Justin songs have won the heart of billions of people as well as several award and honors from industries. He won Grammy award once, Brit awards twice, three NRJ Music Award, thirteen Billboard Music Awards, eight American Music Awards, twenty Teen Choice Awards, eighteen MTV Europe Music Award, fourteen titles in the Guinness World Records, and many others. He is one of the most awards receivers by a single artist till date. Justin has a huge fan following and there is no doubt billions of girls are dying to meet and date him. Among his several girlfriends, his best chemistry is with Selena Gomez and the couple looks adorable together. The couple were bounded deeply in love and seems to be inseparable. Though they decided to break up, the couple still can be spotted together quite often in different places. From December 2010, Bieber started dating Selena Gomez. The couple attended several functions together and used to be together most of their time. After dating for almost two years, they got separated in November 2012. Despite their separation, the couple still seems to have feelings for each other. Justin and Selena reconciled after a week of their broke up but again split up in January 2013. They also reconciled back again in 2013, 2014, 2015 and in 2017 also which proves that though they separated their love and care for each other will last forever. Besides dating with Selena, Bieber also dated several other celebrities as well. According to different sources, it is found out that he dated Caitlin Beadles, Jessica Jarrell, Jasmine Villegas, Chantel Jeffries, Kylie Jenner, Adriana Lima, Hailey Baldwin, Kourtney Kardashian, Jayde Pierce, Nicola Peltz, Sofia Richie, Paola Paulin, etc. Additionally, it is also found out that Justin also had encounters with Gabriella Lenzi, Michelle Cardona, Sahara Ray, Laura Carter, Ashley Moore, Lira Galore, Scarlett Leithold, Alyssa Arce, Kayla Phillips, Jacque Pyles, Mandy Rain, and several others. Justin has been through several legal issues and controversies with the growth of his fame. He had several run-ins with the law court around the globe after his first arrest in 2014. In 2012, he was accused of reckless driving in his neighbor, accused of throwing eggs at a neighbor, arrested in Miami Beach in 2014, along with singer Khalil for suspicion of driving under the influence. Bieber was also arrested on the DUI charge and more than 270,000 people request the White House to deport him from the United States but declined although the number of signatures was sufficient. On 9th July 2014, he was sentenced to serve two years’ probation, twelve weeks of anger management class, five days of community service and the US $80,900 penalty for throwing eggs at his Calabasas neighbor’s home. Moreover, In November 2014, Justin was ordered to appear in Argentina within two months by a Buenos Aires court to give testimony on an alleged assault on a photographer which he failed to attend. An arrest warrant was issued as he failed to attend the court and his two bodyguards were arrested. Justin Bieber earns the tremendous amount of money in his career. He earns $53 million in 2010, $104 million in 2011, $20 million in 2012, $58 million in 2013, $80 million in 2014, $60 million in 2015, $56 million in 2016, and $83 million in 2017. He earned $1,088,010 from his album My World EP, $2,901,360 from My World, $870,408 from Never Say Remix, $1,233,078 from Under the Mistletoe, and $1,269,345 from Believe, $3,264,030 from Purpose. Bieber has done several concerts around the globe. During his concert, he earned $45,305,000 from My World Tour, $177,820,000 from Believe Tour, as well as $74,800,000 from Purpose Tour. His U.S. album and singles sales total 44.7 million and sold an estimated 140 million records. Justin earns the huge amount of money in his career and lives a luxury life. He owns a mansion in California, Villa in Spain, House in Amsterdam, House at Hollywood Hills, and a new glass mansion in Los Angeles. He is also an avid car collector. Bieber car includes $190,000 Mercedes-Maybach S600, $241,945 Lamborghini Huracan, $4.7 million LaFerrari, $164,150 Audi R8, 1965 Lincoln Continental, $115,700 Porsche Turbo 997, $186,925 Ferrari f430, $130,284 Lamborghini Gallardo, $54,200 Range Rover Evoque, $86,990 Cadillac CTA-V Coupe, $284,720 Ferrari 456 Italia, Bentley Continental GT, Laferrari, Bugatti Veyron, and much more. Bieber also earned a huge sum of money from different endorsement. He endorsed with several fashion lines and brands including Adidas and Calvin Klein. He also has his own fragrance named as Someday, Girlfriend, and The Key through which he earned millions of dollar just after few weeks of its launch. Allocating information from several sources as per 2018, it is found out that Justin Bieber current estimated net worth is around $260 million.